Our next A&S gathering is the third Thursday of the upcoming month, May 19th, 2016, in the Usual Place: 255 W. 105th St., #21, at 7pm. 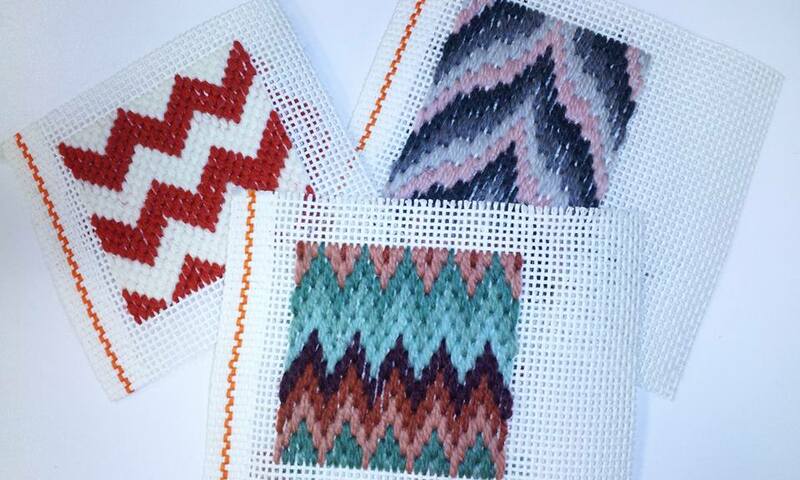 NEEDLEWORK CLASS: Florentine Flame Stitch, before & beyond….Do you like to color? Learn how to color with needlepoint yarn and MAKE A THING! We will be creating small pin cushions. All are welcome. No prior knowledge is required. Supplies will be provided. Class taught by Lady Godiva d’Mer. We will also be working on Queen Avelina’s favors. As always, you are welcome to bring your own project to work on or for consultation & admiration. If you have the canton songbook, please bring it with you! We will exercise our voices as we ply our needles. The menu will be a reprise of the tastiest items from the Anglo-Norman feast at our last Solar, namely the leeks, the rice pottage and the tiny tarts, with salad and bread. We have 2 bottles of wine left from our last gathering, so please hold off on wine for now!